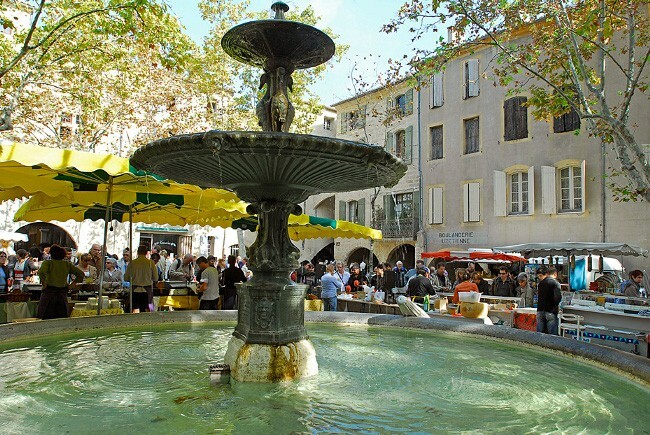 Close to Avignon and Nîmes, Uzès reveals an incomparable charm and Latin grace. The former “first duchy of France” has retained a most beautiful architectural heritage that spreads over a landscape dotted with villages and planted with fruit trees, vines and truffle oaks. There’s a touch of Saint-Rémy de Provence about Uzès. With perhaps an extra touch of intimacy and authenticity. The same circular boulevard, the same bubbling fountains, the same unbridled heritage: tourists love it, and flock to the town as soon as the weather starts to warm up. A walk round Uzès begins with a circuit of the old centre, with its pedestrian streets, “trendy” shops and architectural treasures, such as the Château des Ducs d’Uzès, a private property but open to visitors, the Saint-Théodorit Cathedral and the Fenestrelle Tower, with its similarities to the Tower of Pisa, the magnificent private mansions that were homes to the Baron de Castille and Chambon de la Tour, and also the Place aux Herbes, the town’s epicentre, with its lovely arcades and café terraces. The square is also the nerve centre for the weekly market that takes place on Saturdays and Wednesdays. Sitting between Provence and the Languedoc, the Uzège region has a number of “terroirs” in which wonderful, distinctive goods such as olives, apricots, wine, cherries, peaches and truffles are produced: gourmet treasures that you can find in the fourteen surrounding villages, which in recent years have been adopted by Parisians. Because it’s the done thing to be seen in Uzès! In summer, the New Luberon takes on a somewhat foreign accent: an invigorating breath of fresh air that plays its part in the incomparable charm of this city of the Dukes. Museums : the Medieval Garden, the City Museum, the Chalier Mill and the Bonbon Museum. 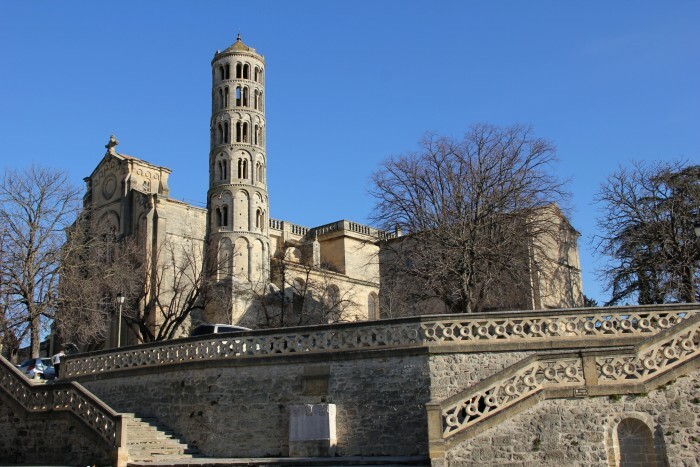 Heritage : The city has preserved much evidence of its rich Medieval past such as the Duchy of Uzes, the Town Hall, the Saint Theodorit Cathedral, the Fenestrelle Tower, the Episcopal Palace, the Place aux Herbes. 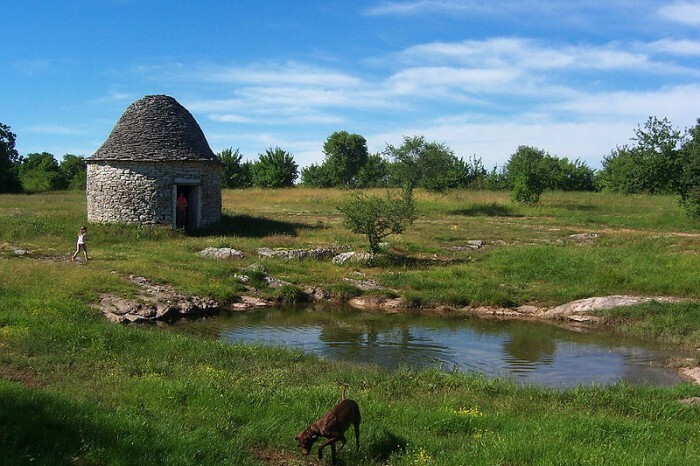 To do : guided tours of Uzes and the region (organized by the Tourist Office), hiking, cycling and horseback riding in the region, swimming, and canoeing and kayaking on the Gardon, Hot Air Ballooning and the Golf Club of Uzès (9 holes).